Hi my name is Laura and I am the Projects Coordinator for Oyster Worldwide. I am very excited to join the Oyster team and getting to know about all the incredible projects they offer. This is a little blog post about me and my memories of a gap year in Canada. I grew up in East Sussex, where I attended Heathfield Community College as my secondary school and continued there for my A-levels. After all the hard work studying I decided to take a gap year! I decided to do a ski season with Oyster Worldwide taking part in the Whistler Ski School program. I picked Oyster and this program for several reasons but mainly because of my elder sister. Jenny took part in this program and had the time of her life with nothing but positive things to say about Oyster, so I decided to follow in her footsteps. At the start of this program I received intense ski instructor training and soon achieved my Level 1 CSIA qualification. 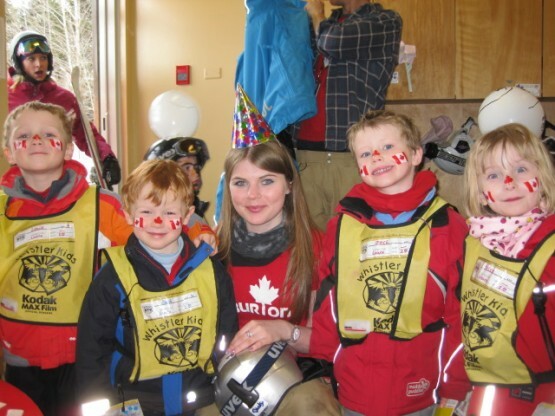 I then began work at Whistler Kids teaching 3 – 5 year olds (and some older groups on occasion). This job was hard work but at the same time fun and exciting. Teaching children comes with some challenges, however, it is all worth it at the end of the day when they are skiing with big smiles on their faces and parents bursting with pride. Whistler itself is a beautiful and vibrant small village with lots of things to do in your spare time, of which myself and the friends I made the most of; going out for drinks, food, ice-skating, tubing, walks, cinema and of course skiing/snowboarding. Following my Whistler experience myself and two of my best friends (from the Oyster group) decided to travel the rest of Canada, starting in Quebec and road tripping it back to our Whistler home. This was a fantastic opportunity to fully embrace Canada by meeting more people and also doing all the site seeing and activities each location had to offer. However, all good things come to an end and by the end of July I was back in England preparing for my next adventure…University! On reflection I realise how crucial my gap year was to improve my confidence, social skills and working skills. Surprisingly, I found that all my flat mates in Halls of Residence had been on gap years this being a great talking and bonding point. I have now finished my time at University and I happy to inform that I am still very close with all my gap year friends (thanks to the power of social networking) and seeing my best friends in person as much as we can. I think about my gap year almost everyday due to the great memories created, it really was the most amazing time of my life and I am over the moon to be working in the industry I love and the company that made it happen.